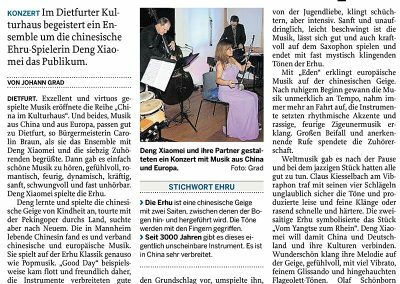 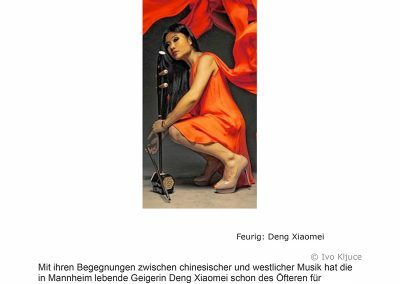 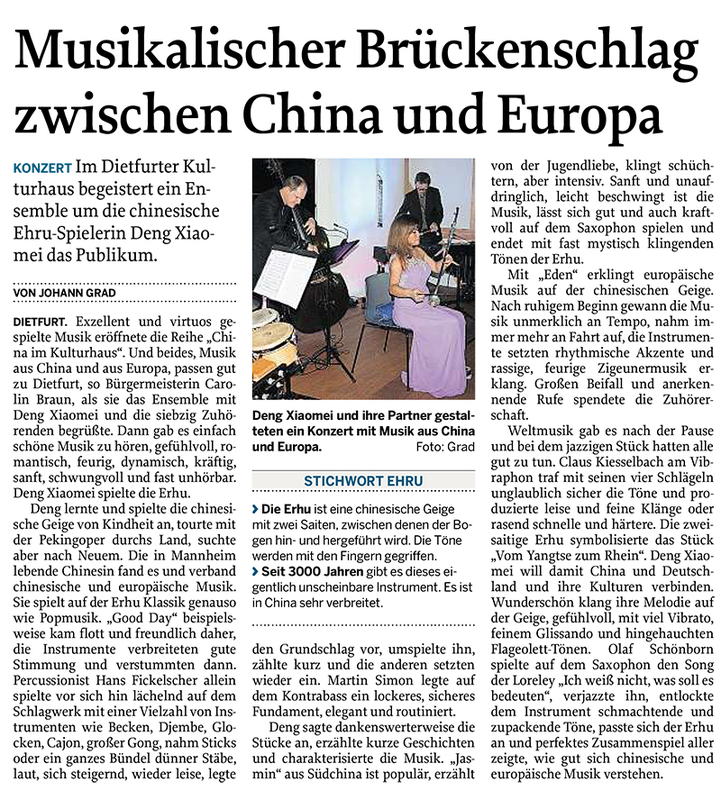 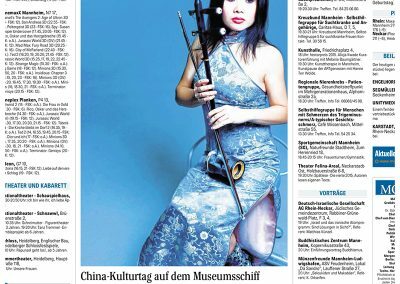 The artist from Beijing, Xiaomei, has been playing the classical chinese two-string violin, called Erhu, since her sixth birthday. 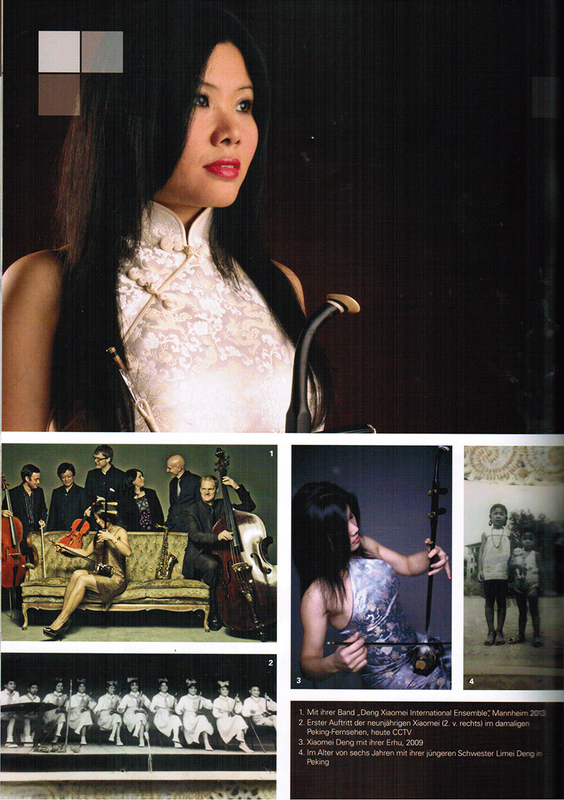 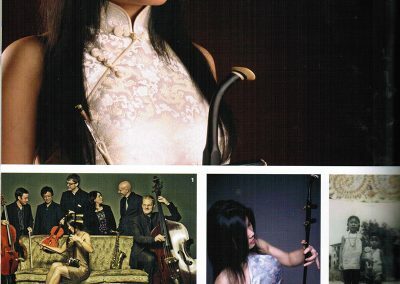 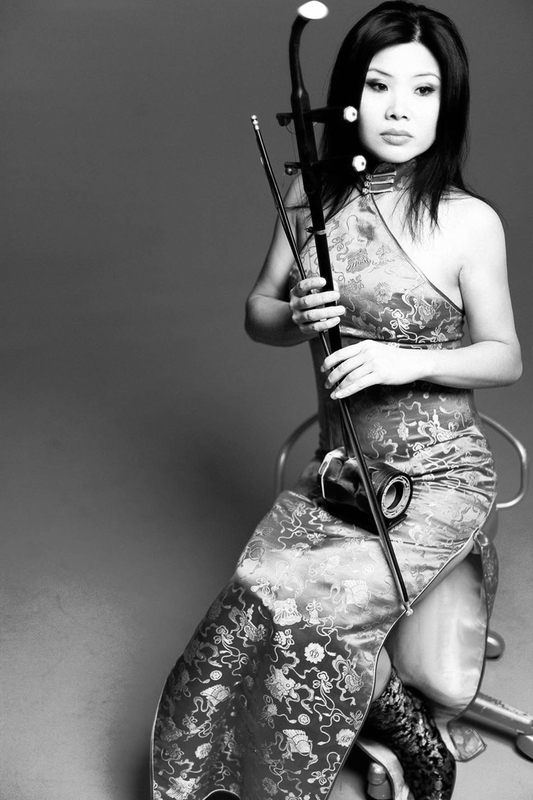 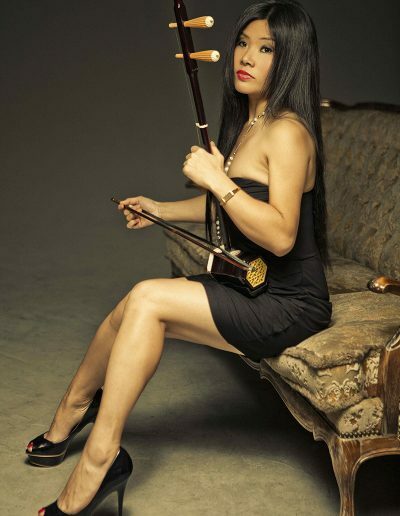 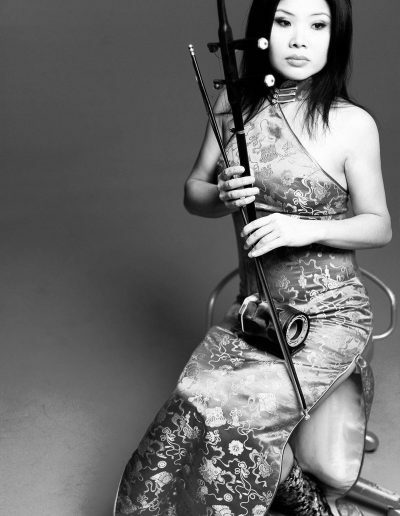 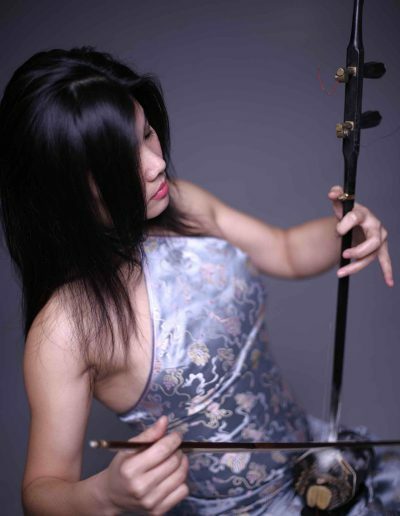 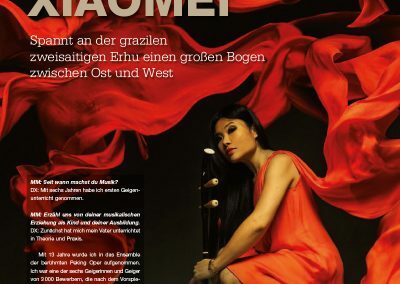 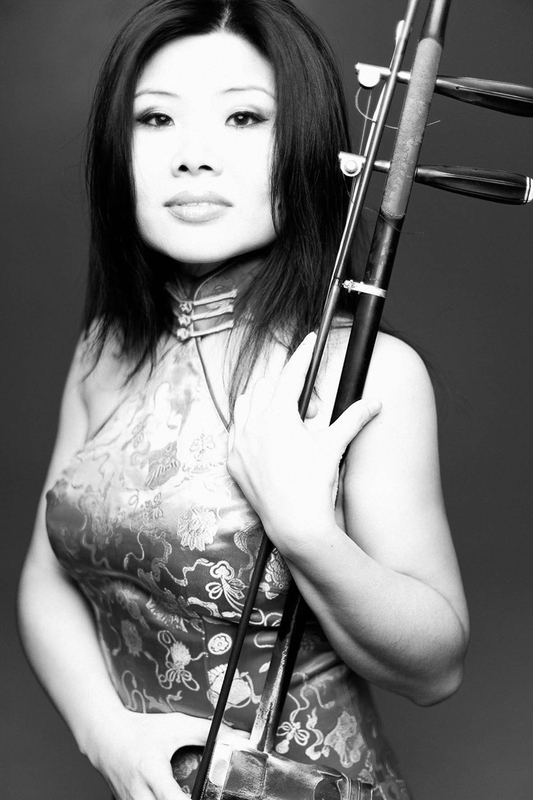 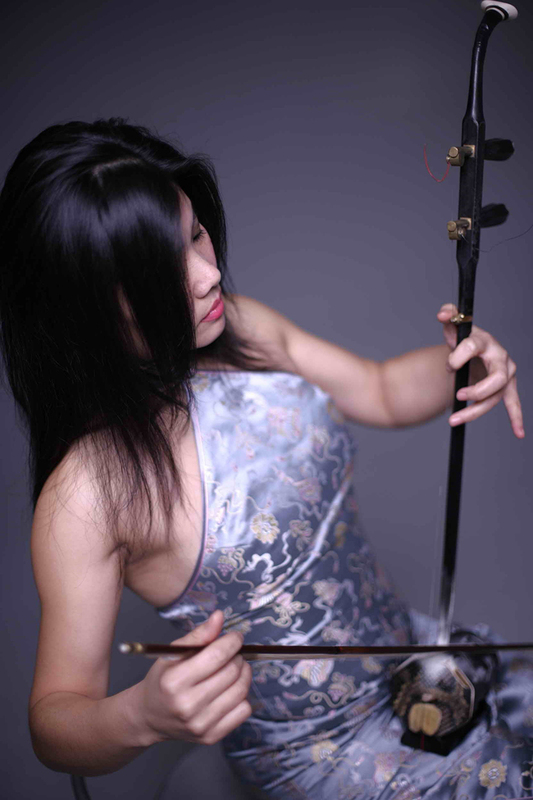 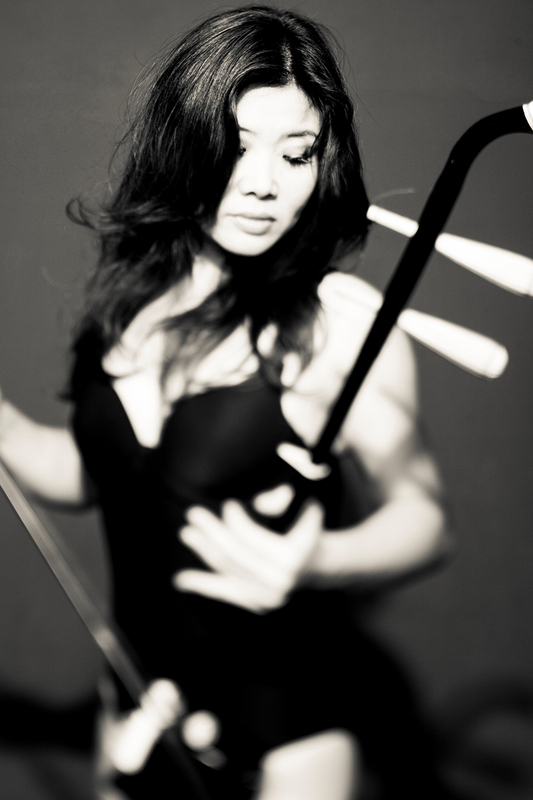 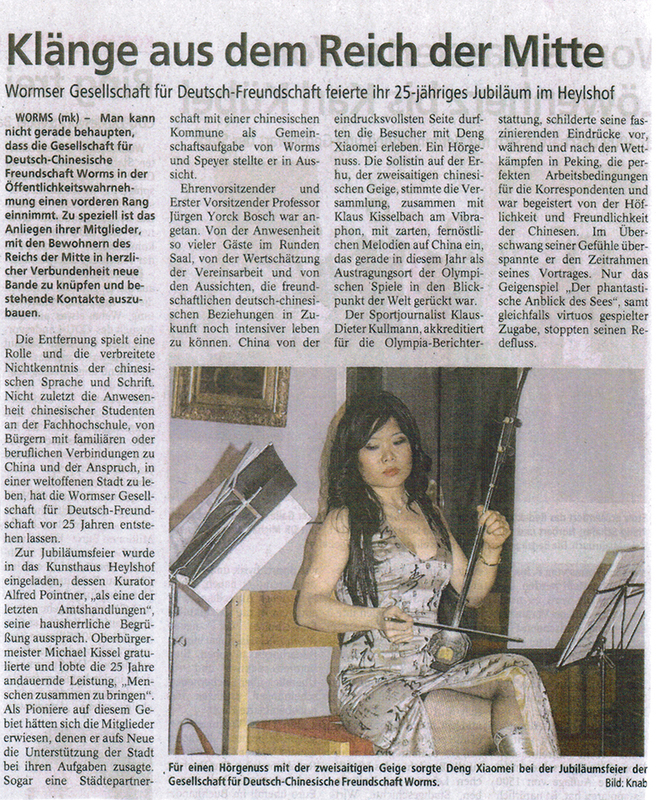 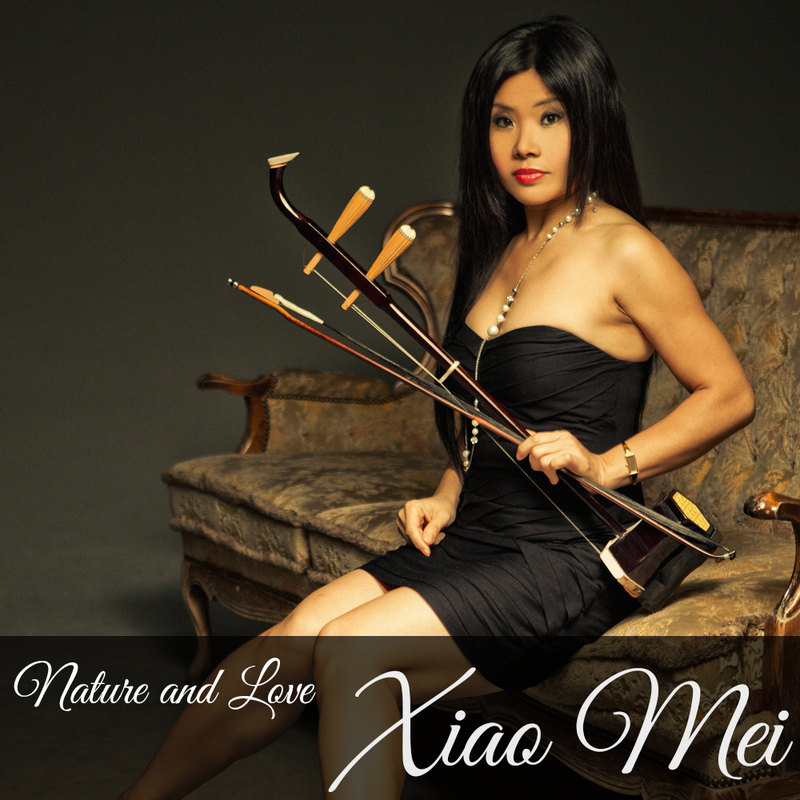 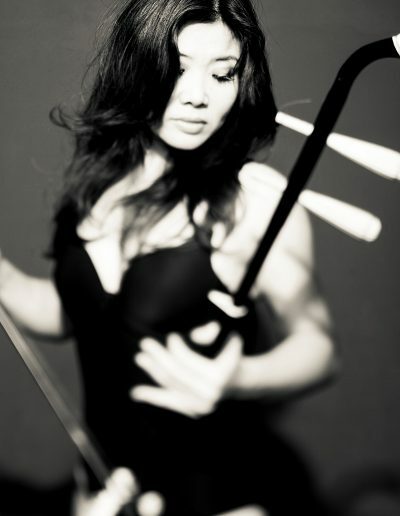 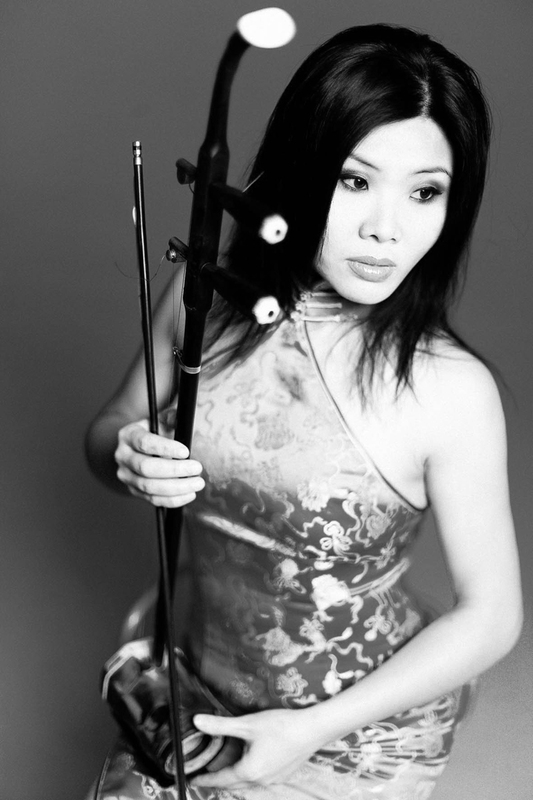 In her homeland China, she had mastered the Erhu, the traditional classical instrument of chinese music, virtuoso. 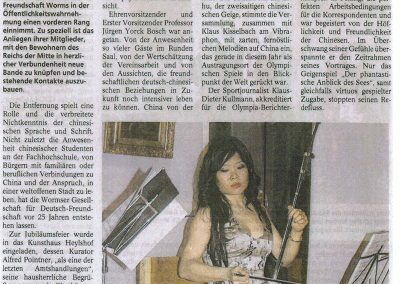 She dedicated herself to the study of the difficult to play string instrument. 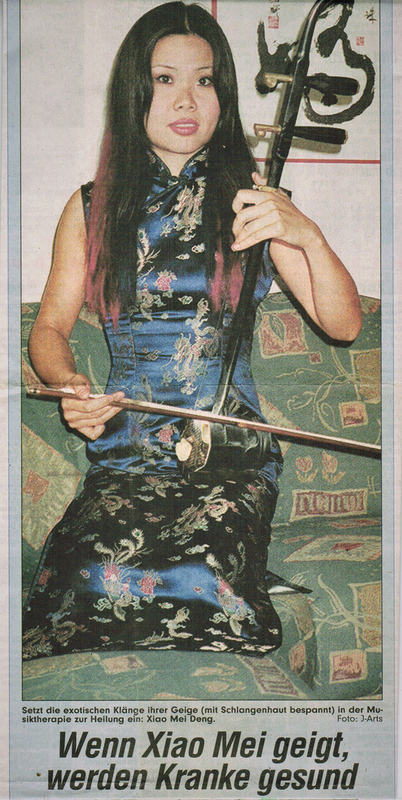 Her most rigorous teacher was her own father, a musician and a member of the world-famous Peking Opera. 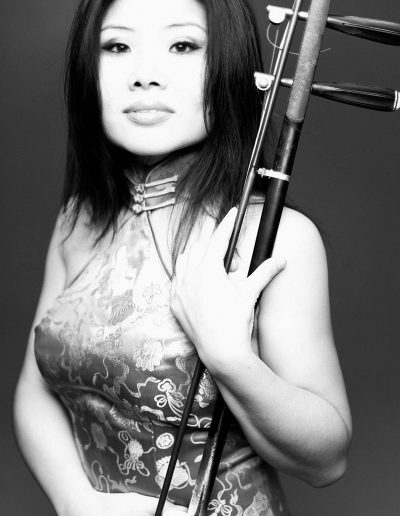 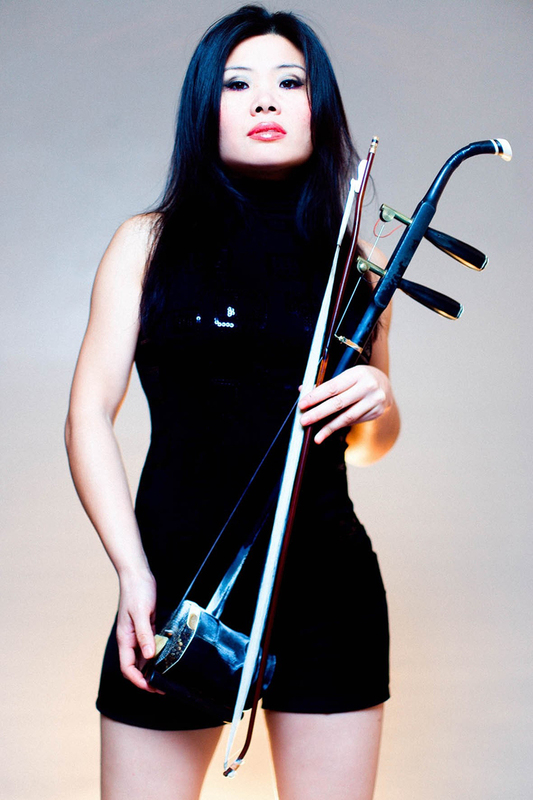 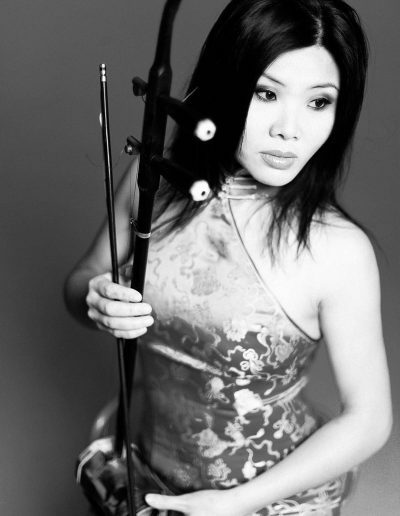 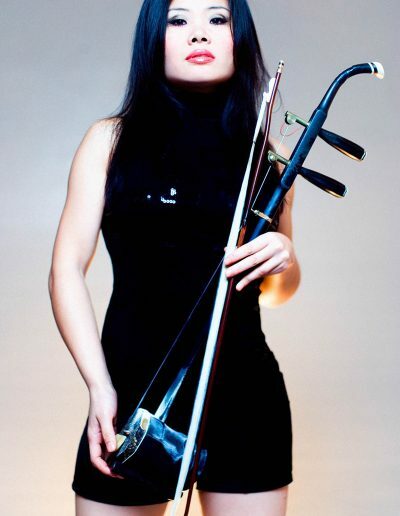 Xiaomei studied music at the Peking University of Music, and for several years was a member of the Beijing Opera, with whom she toured China through her 14th year. 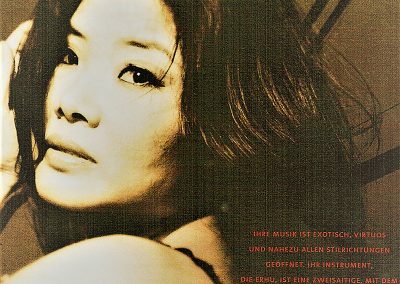 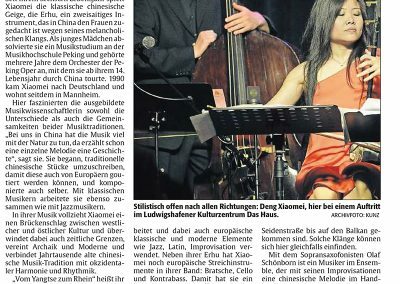 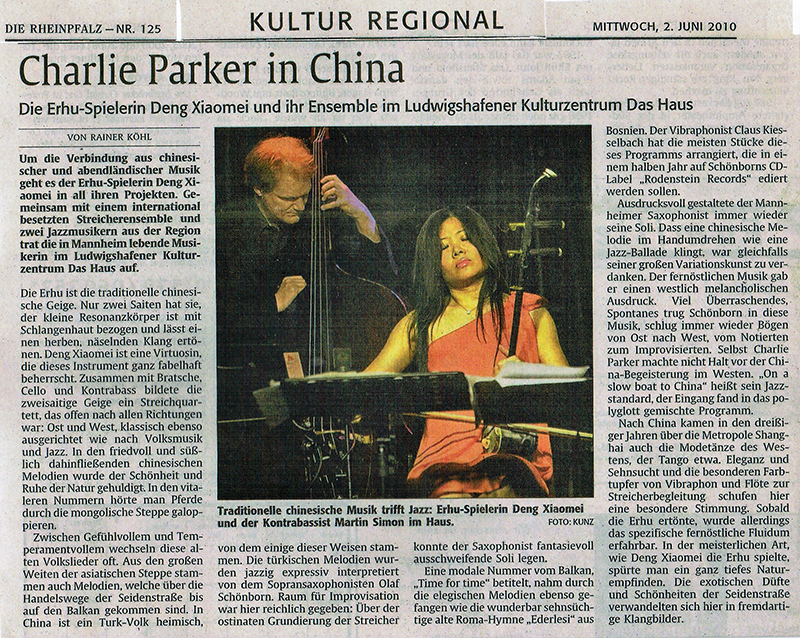 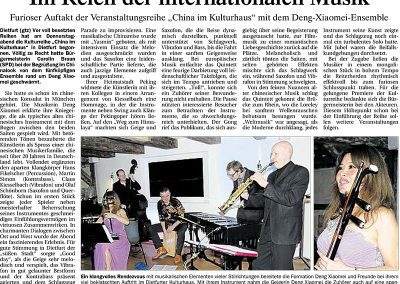 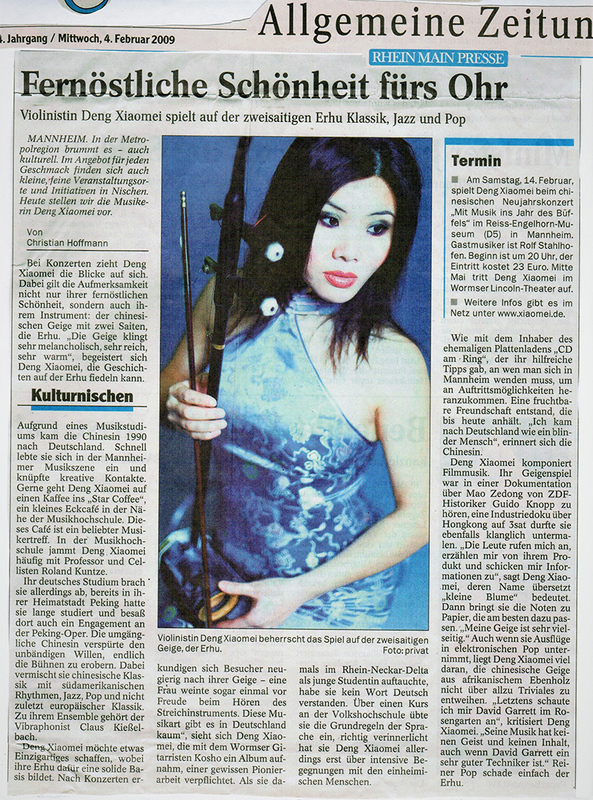 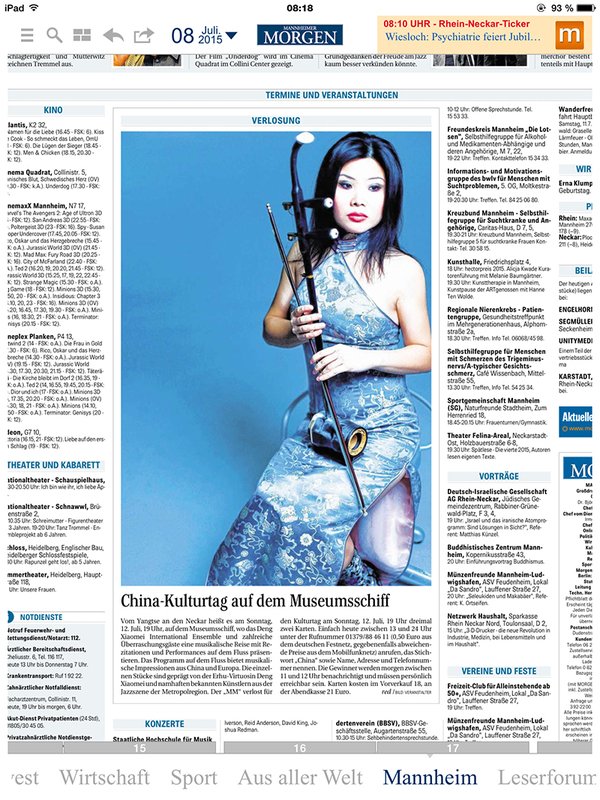 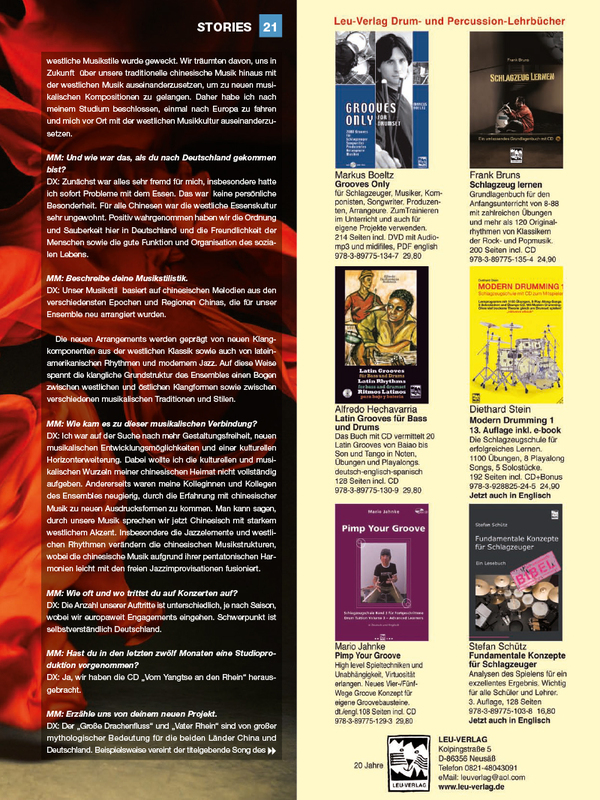 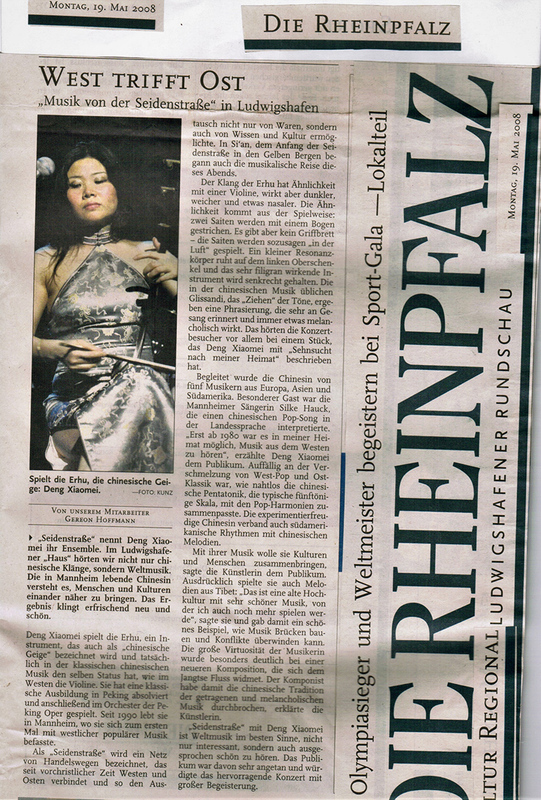 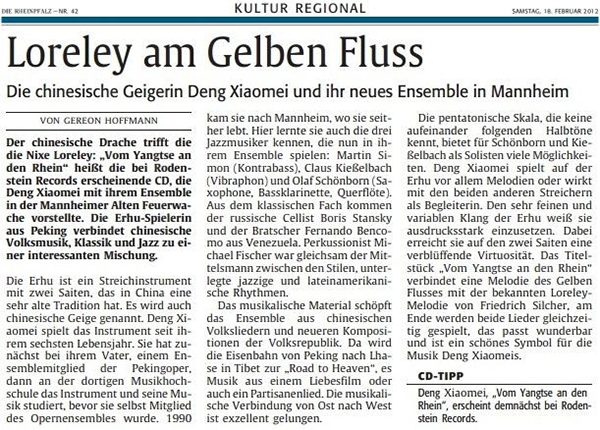 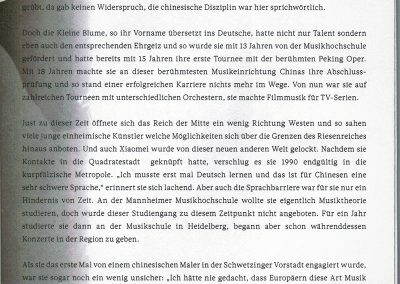 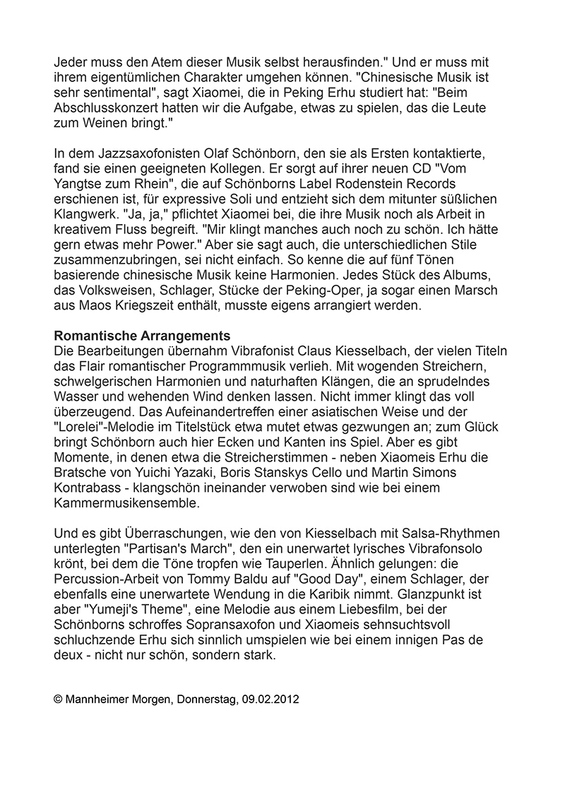 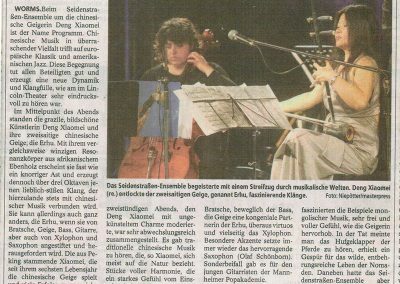 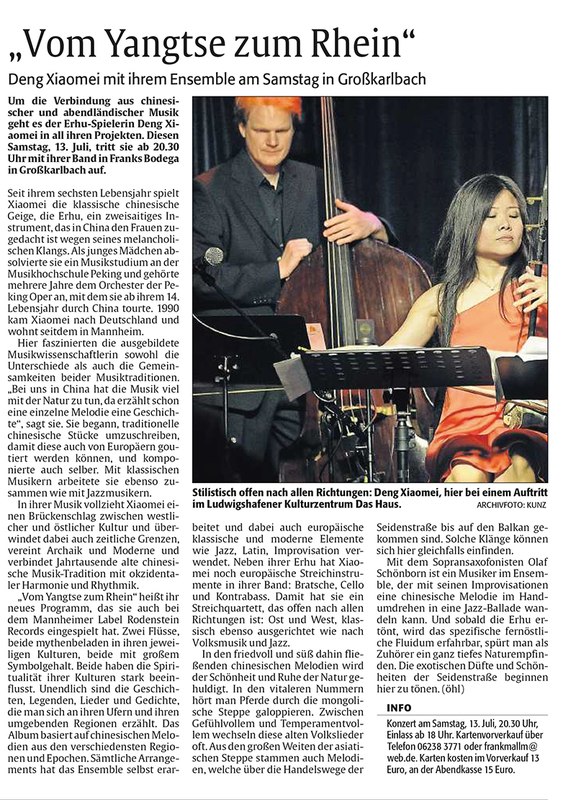 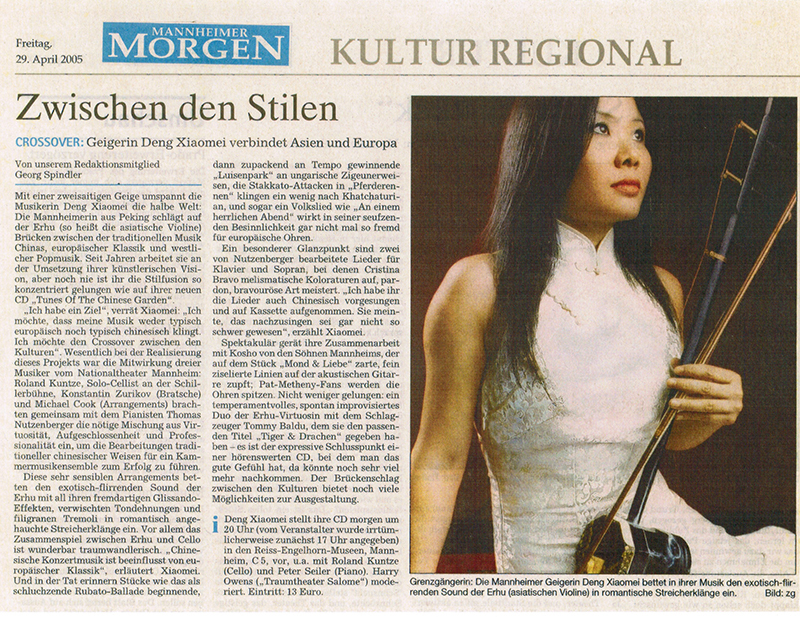 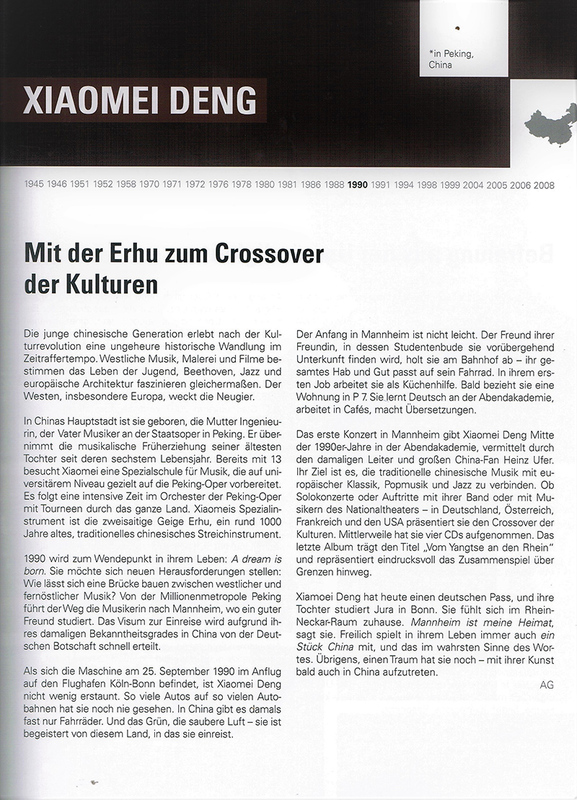 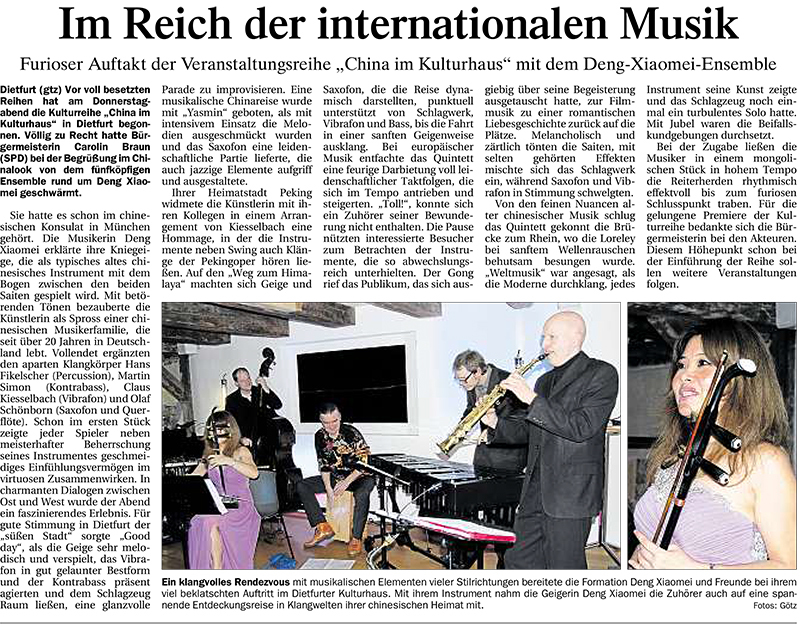 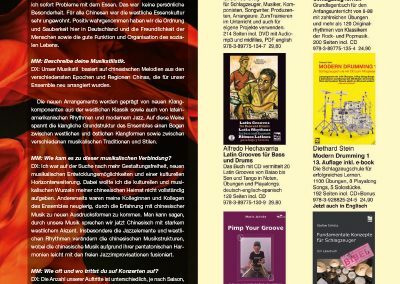 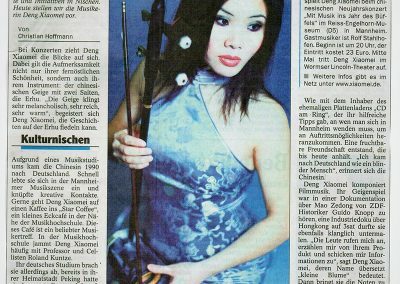 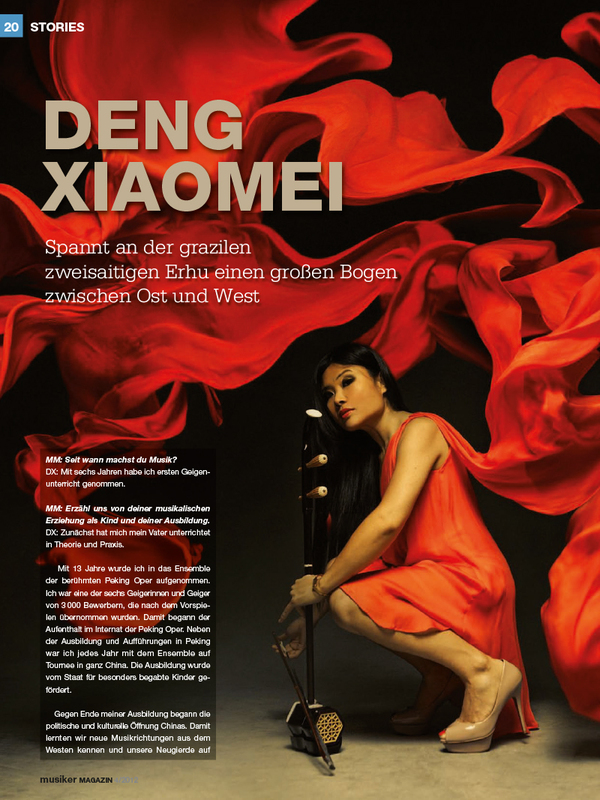 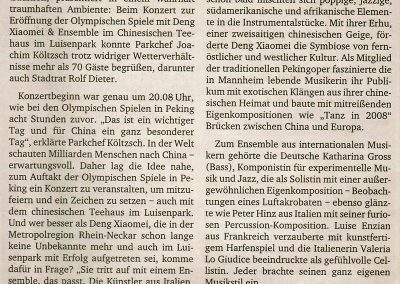 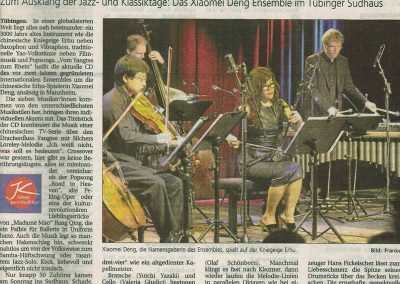 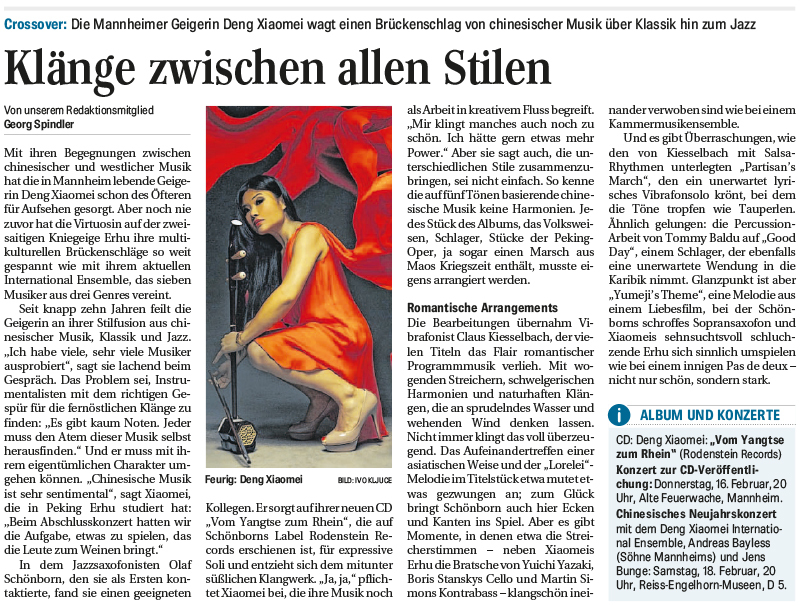 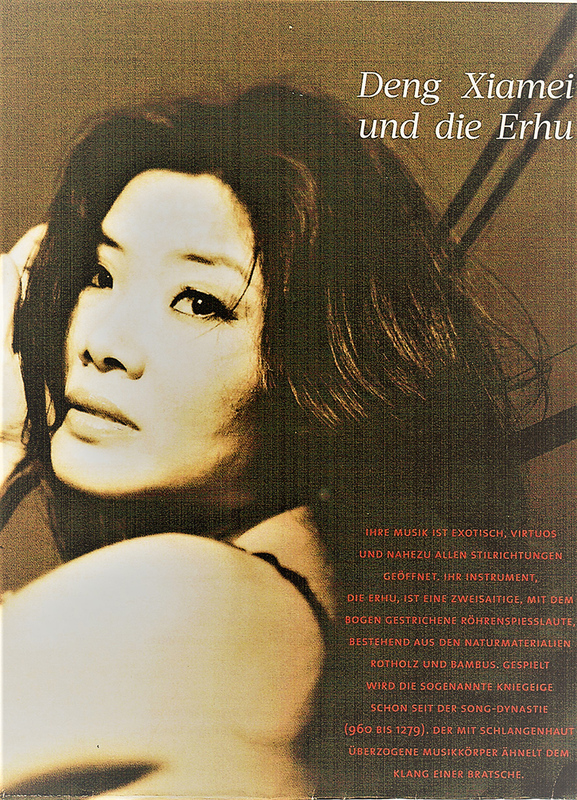 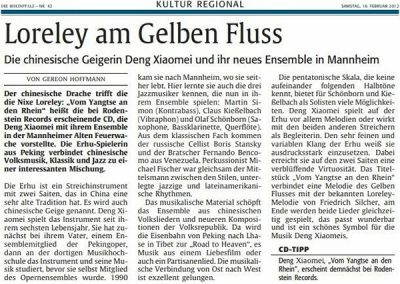 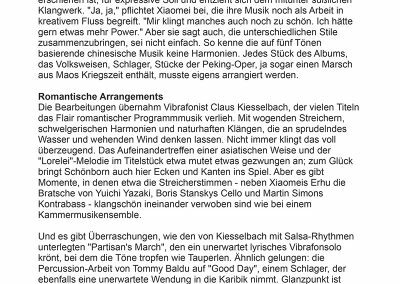 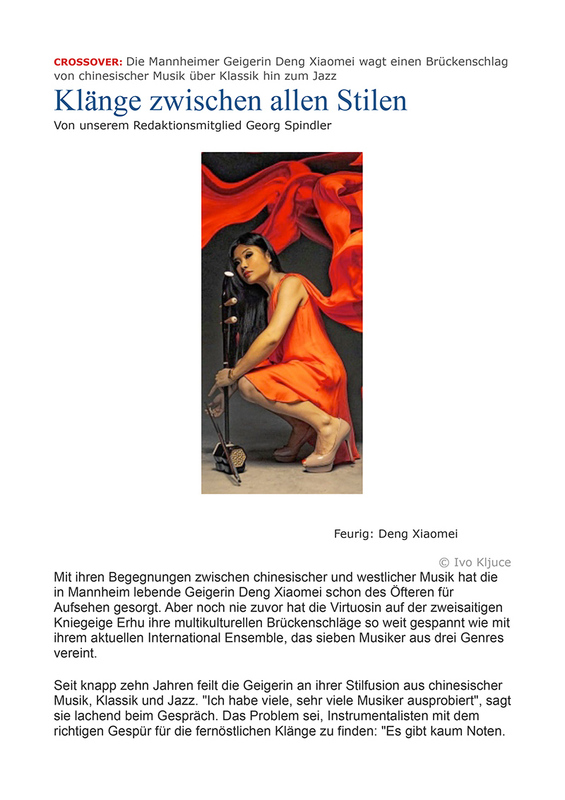 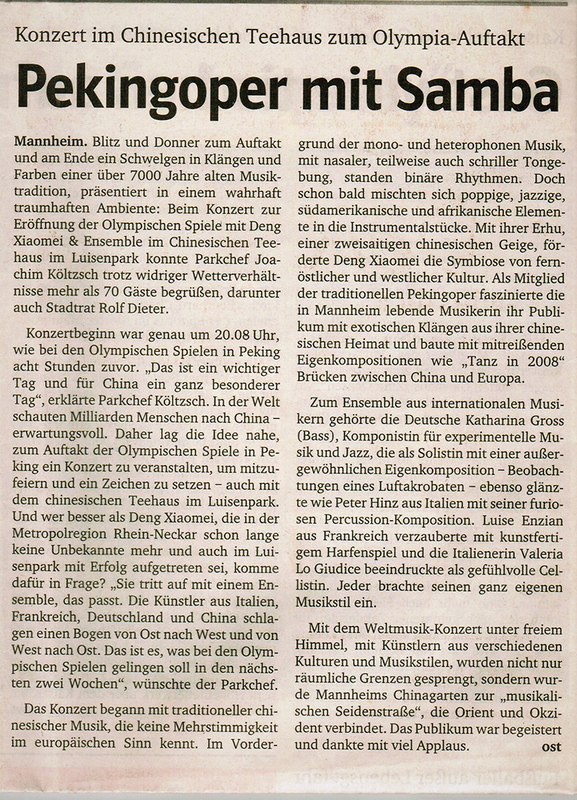 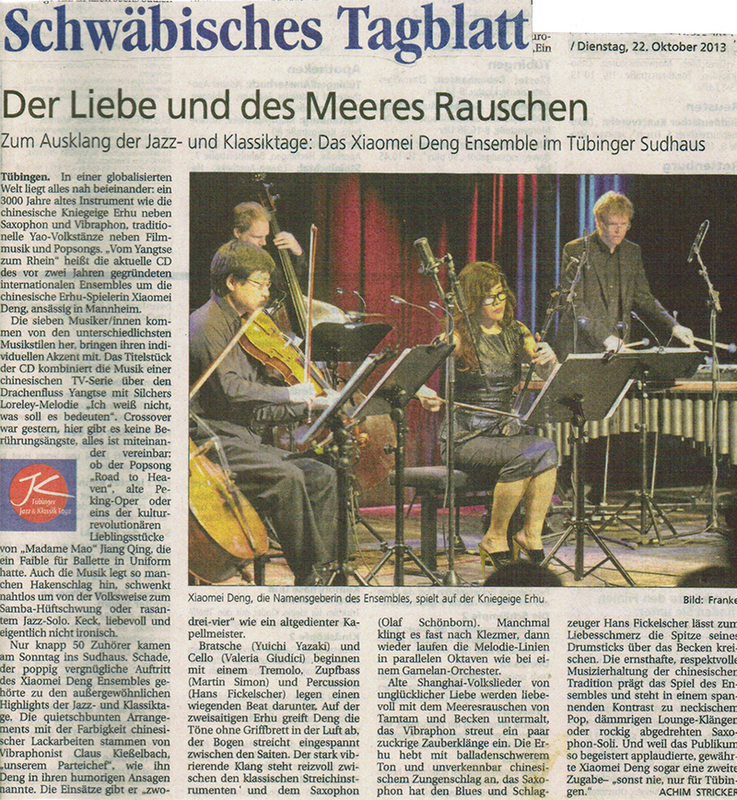 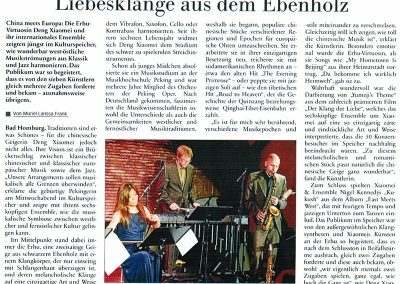 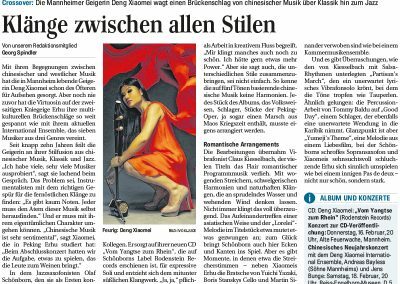 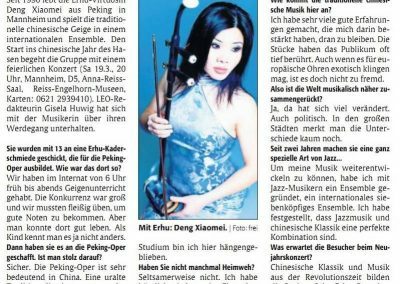 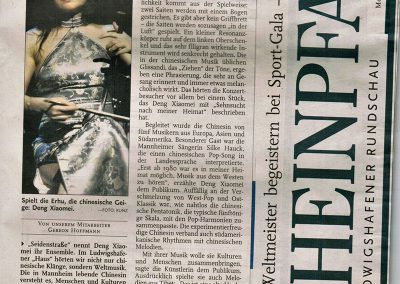 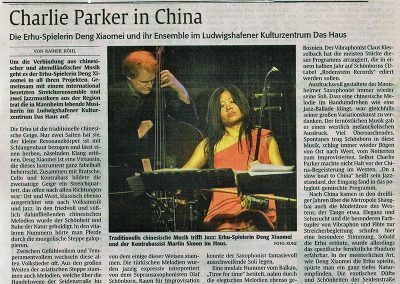 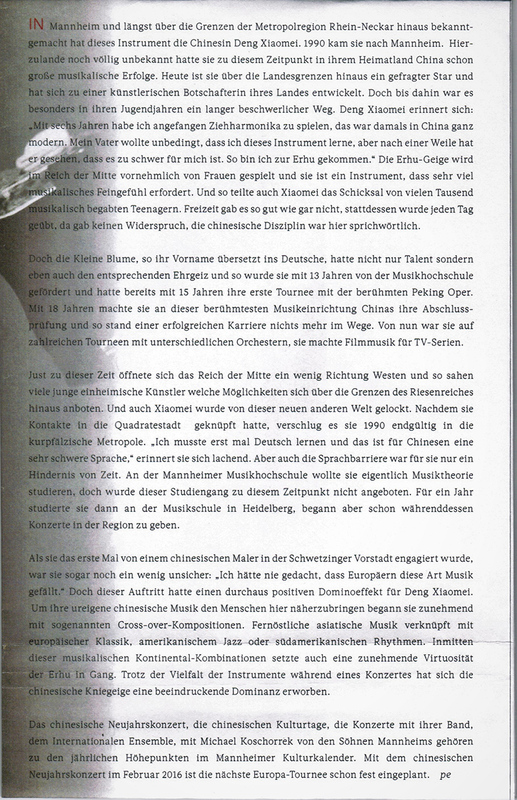 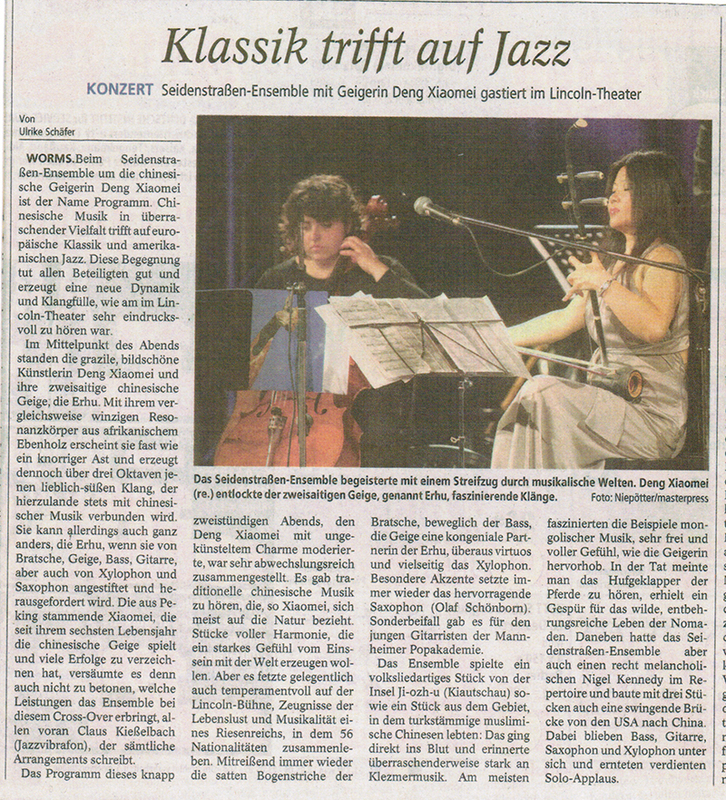 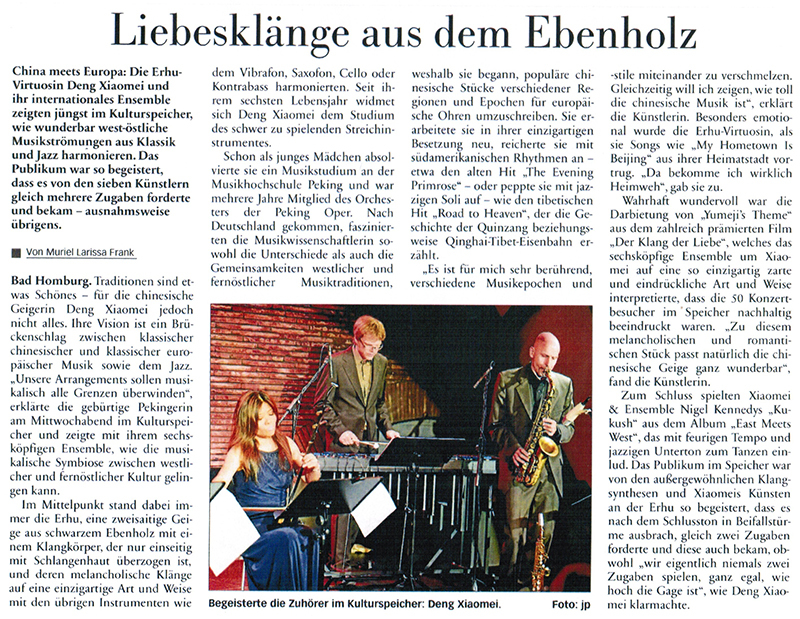 In 1990 Xiaomei came to Germany and has been living in Mannheim ever since. 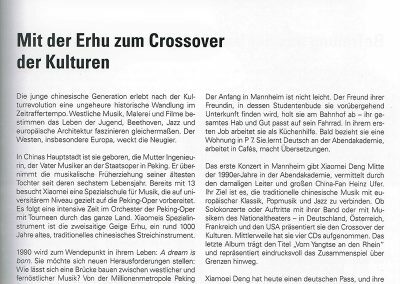 Here she was confronted with the music and the sounds of Western culture. 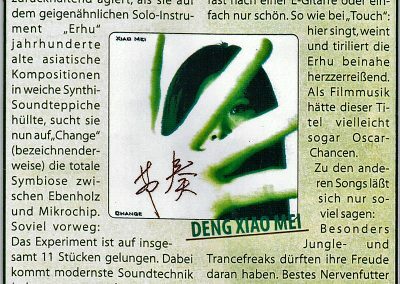 The electronic samples, synthesizer and guitar sounds, her new experiences and impressions, has let her into her own music and processed into unique compositions. 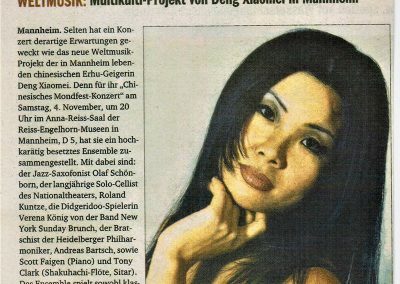 This resulted in one of the most unusual style syntheses. 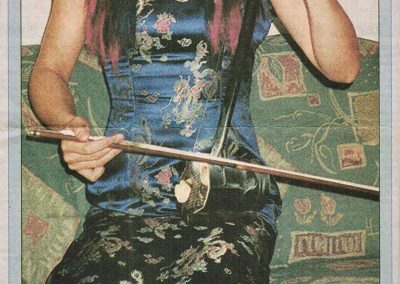 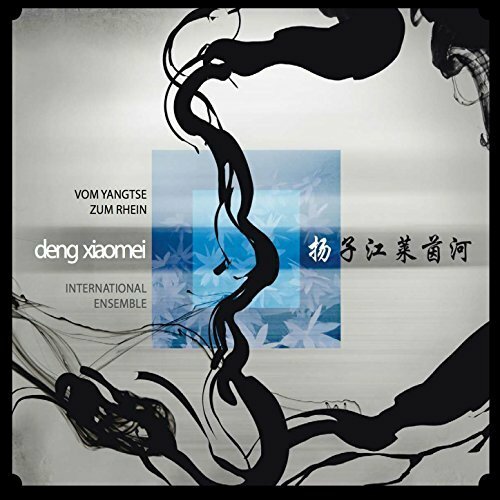 The peculiar melancholy and longing of the Erhu are underlined by synths, samples and a firework of contrasts. 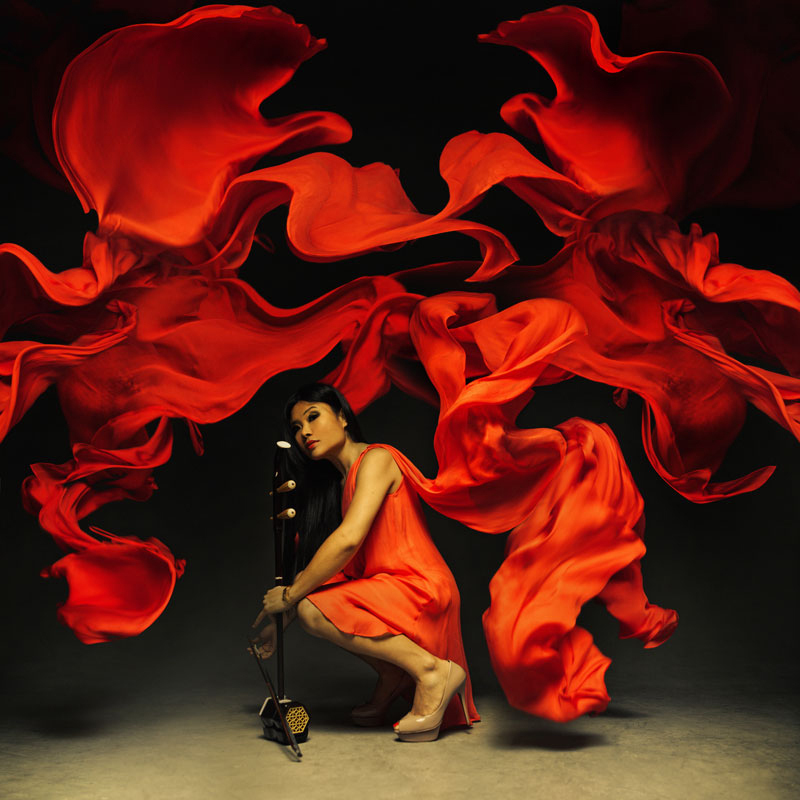 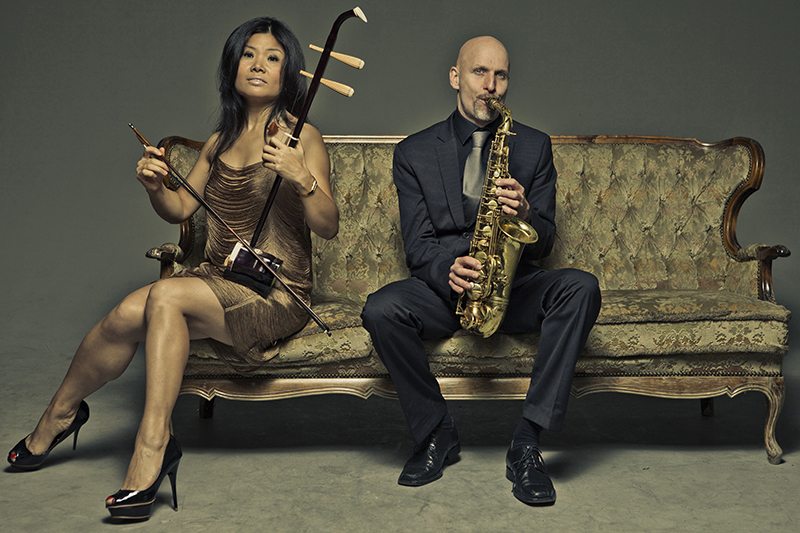 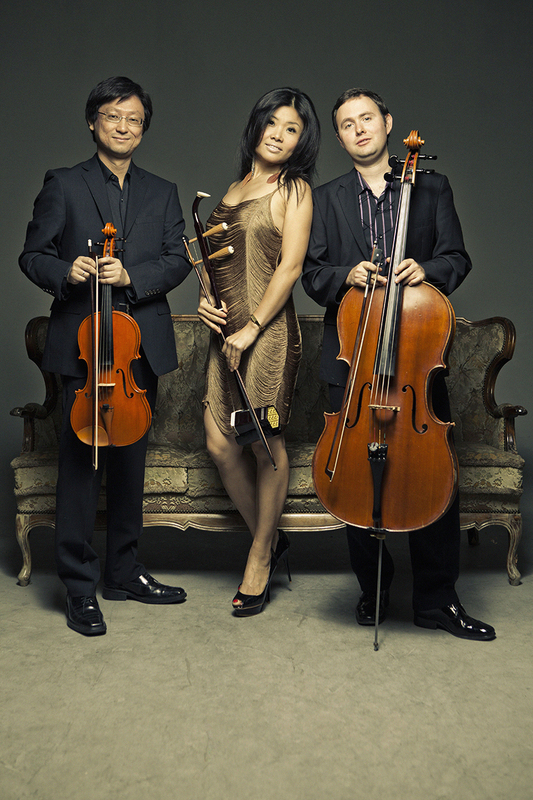 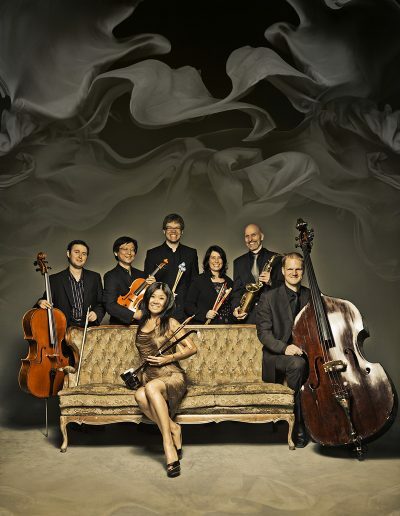 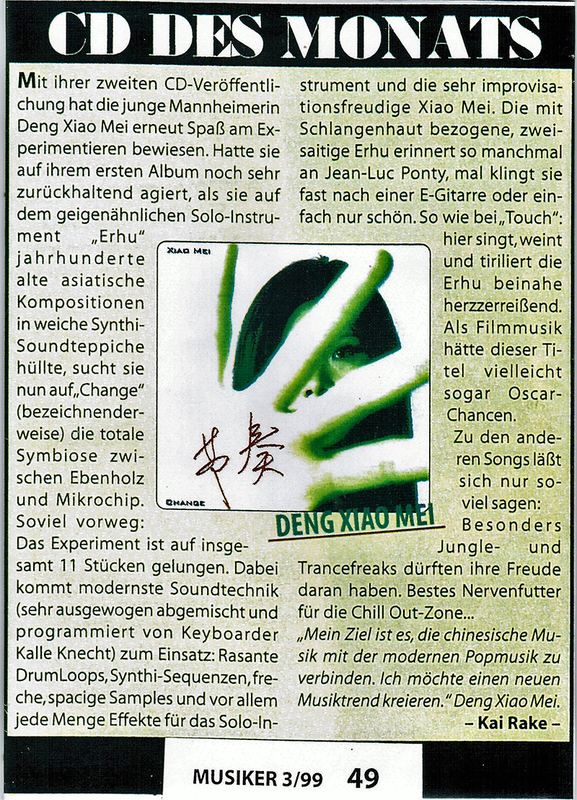 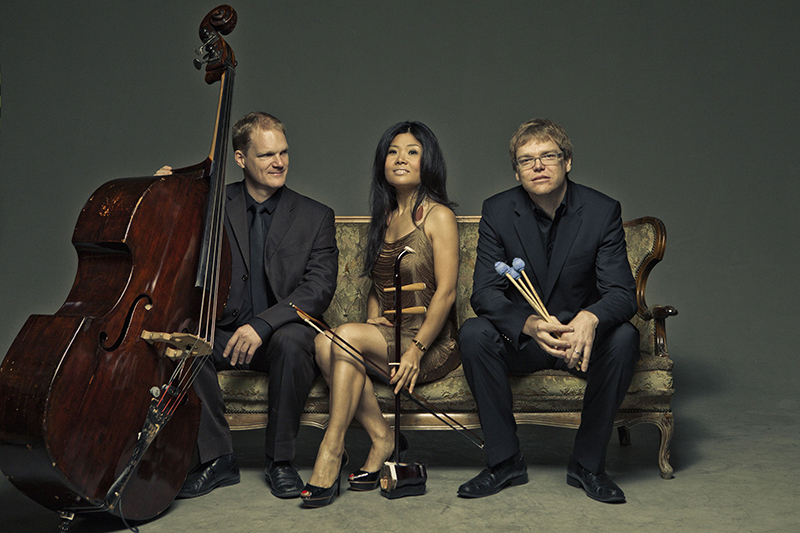 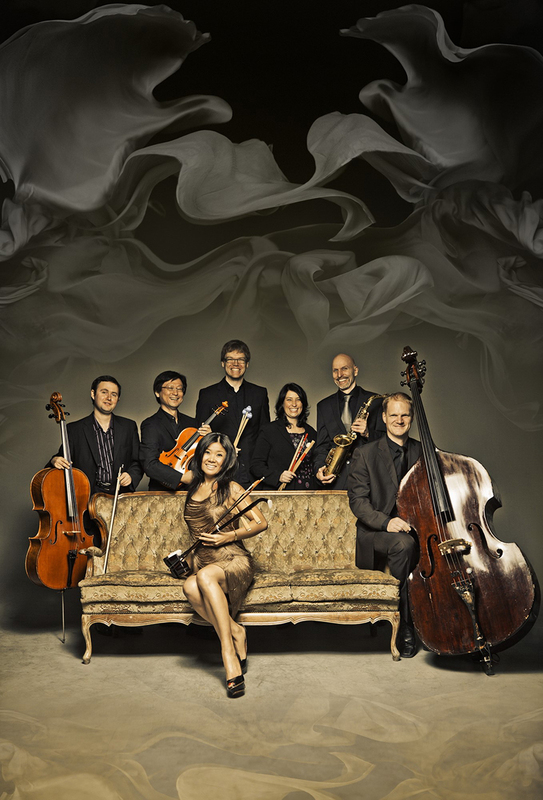 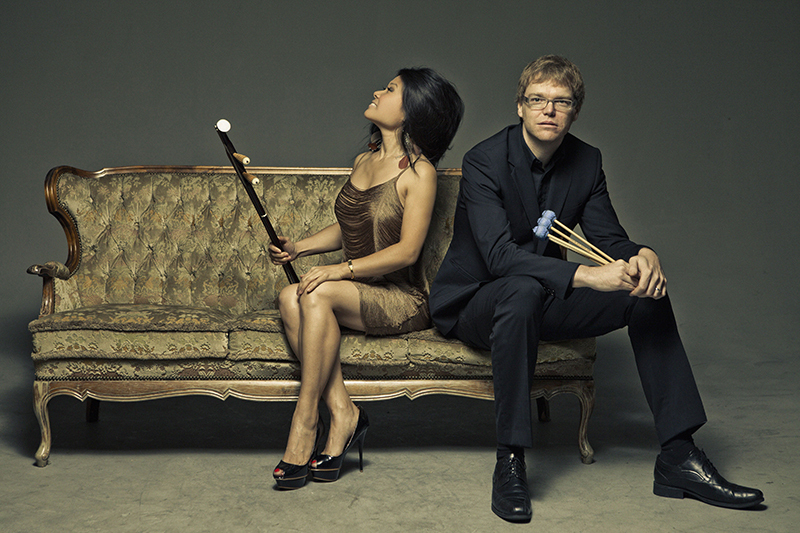 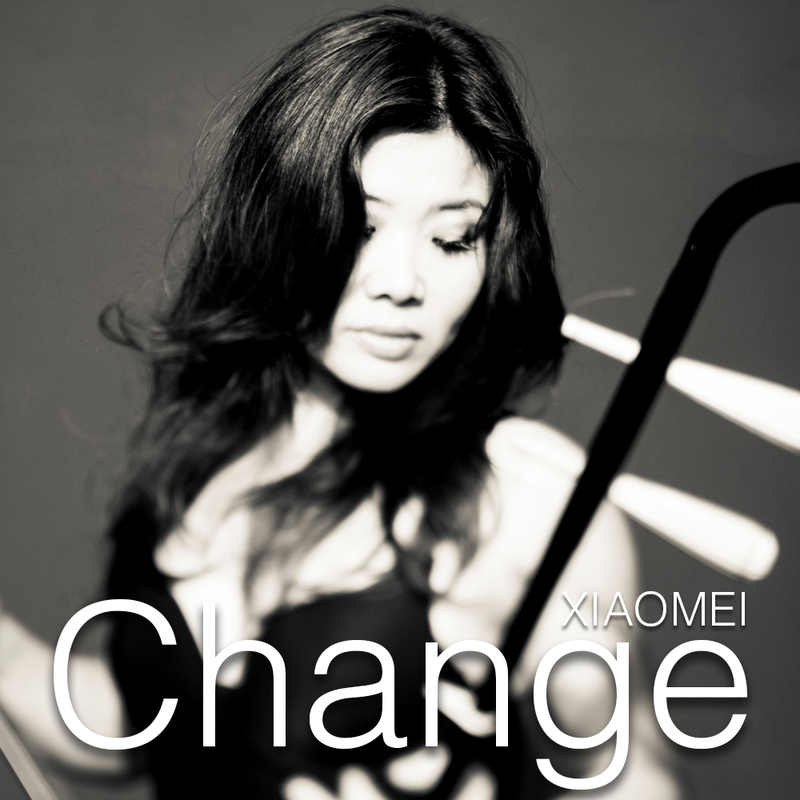 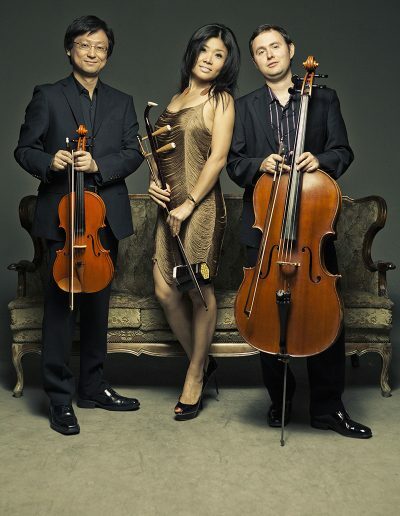 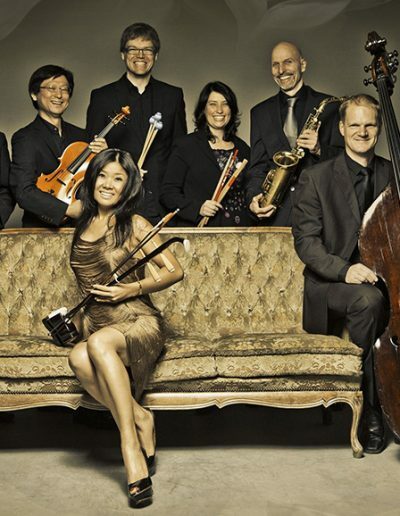 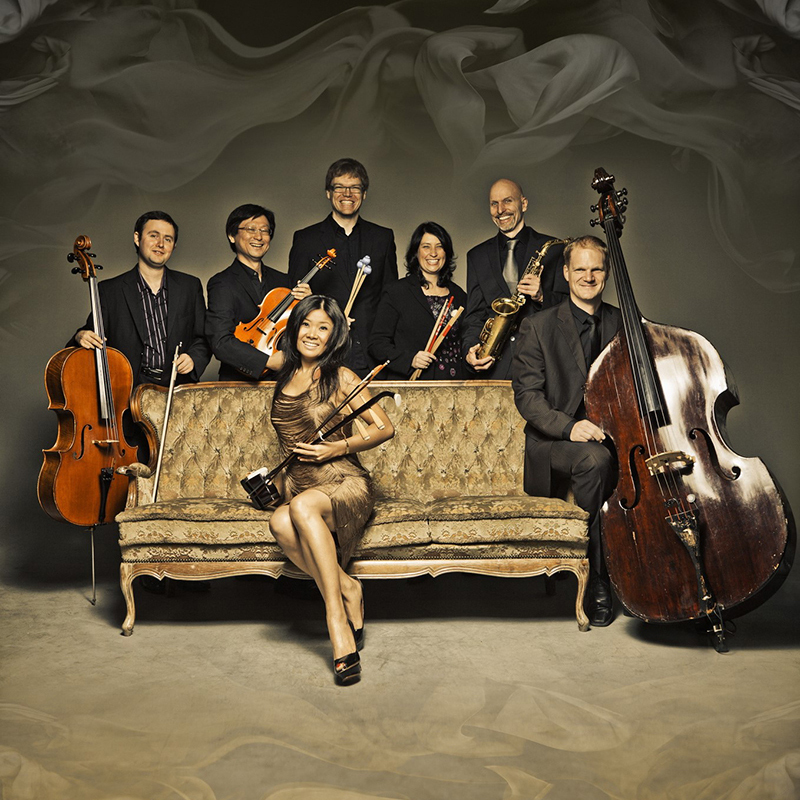 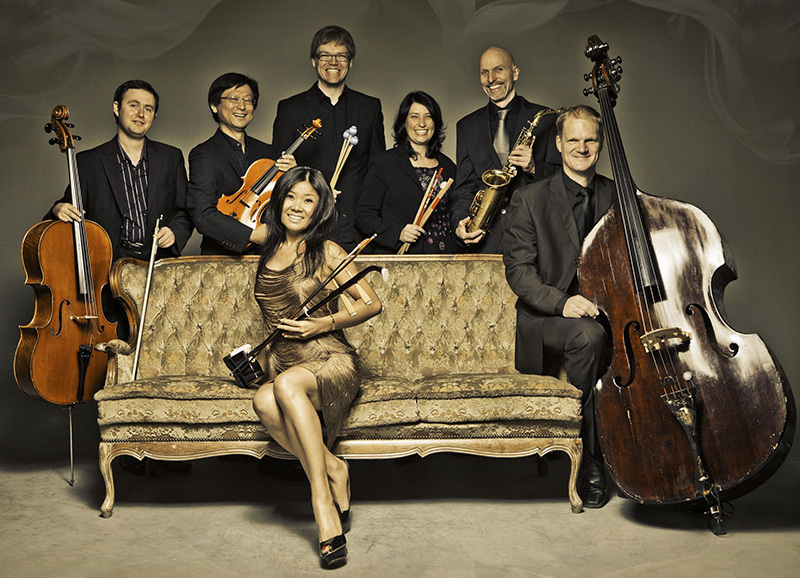 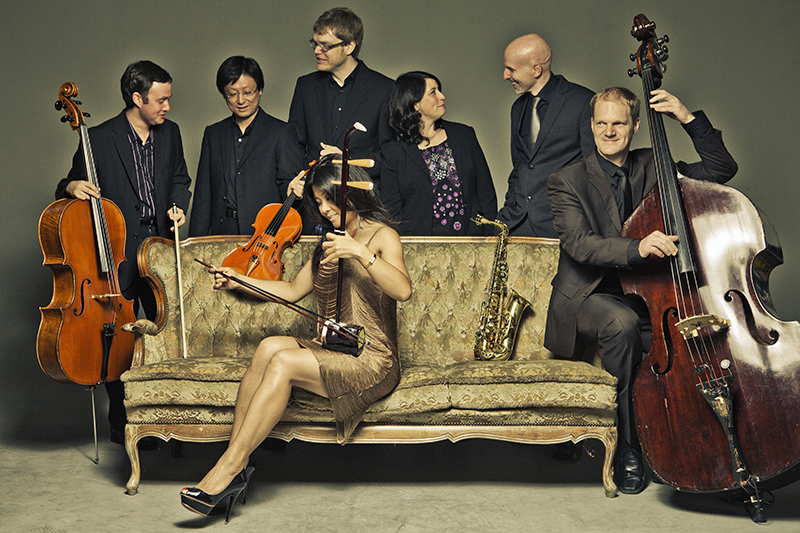 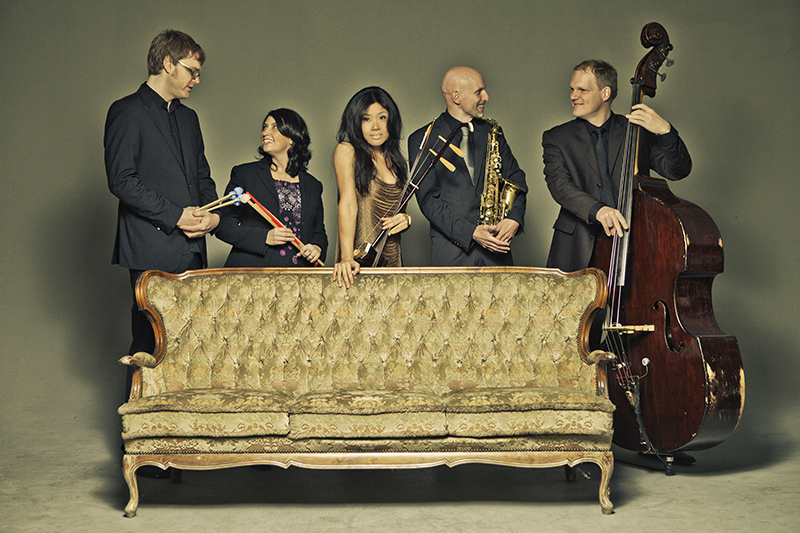 A mixture between high-tech and originality lends this particular charm to Xiaomei’s music.